Remember the Samsung Galaxy Note 7? The discontinued Android Smartphone marketed by the renowned Samsung Electronics. The battery defects caused many units to explode due to overheat. Last year, Samsung recalled an estimated four million Galaxy Note 7 smartphones over concerns that the batteries on the phone units could overheat and burst into flames. Authorities in the US and other parts around the world banned the use of Galaxy Note 7 on planes and even from being placed in checked luggage. That lead to finally shut down of production and all phones were taken back from the market. After this, to overcome the market loss and reputation company has worked hard and came up with Galaxy S8 and S8+ Flagship which now one of the hottest Android phablets into the market. Do you believe in rebirth? Well, this a good news for the Samsung users that the ill-fated Galaxy S7 is all set ready to come back with this latest version ‘Samsung Galaxy Note 7 FE’. 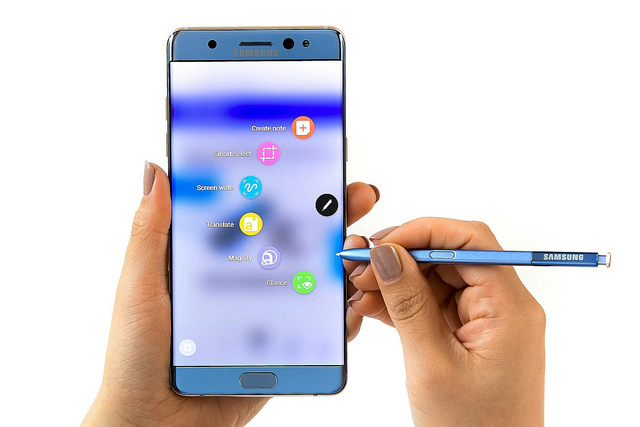 Knowing about it more the Galaxy Note FE, Samsung with the South Korean smartphone manufacturer is also preparing to launch the refurbished version of the Galaxy Note 7 as Note FE, were FE stands for Fan Edition. There have been a lot of buzz about the launch of the refurbished phone all over the internet regarding the launch date and pricing of this refurbished version device. Initially, it was rumored to be launched on June 30 and then the launch date was pushed to July 7. Later, there came a report tipping that it will be further delayed until the end of July. If we go by the recent reports, the Galaxy Note 7R or Galaxy Note FE is believed to arrive on July 7 only. It is alleged to carry a price tag of $700 (approx. Rs. 45,000). If this report turns out to be authentic, the price of the Galaxy Note FE will be higher than expected. We say this as the previous reports pointed out at a price tag of $620 (approx. Rs. 40,000). Moving on to the official re-launch, the Galaxy Note FE has been subjected to several leaks and rumors. Live images of the device also leaked a few days ago, which shows that the device will pack a smaller battery, however, the design is expected to be pretty much similar to that of the Note 7. If the rumors are to be believed, Note FE will come with a 3,200 mAh battery, which is much smaller than last year’s model which was backed by a 3,500 mAh battery. Further, rumors also suggest that the new Note 7R will run on the latest Android Nougat operating system which wasn’t seen in Note 7. While all the other specifications will reportedly remain the same as last year’s fiery Note 7 and there maybe some added features of Galaxy S8 as well. Before the mishappening, the Galaxy Note 7 was one of the best-received and best-selling Samsung phones ever. It’s possible that a new edition would placate fans looking for a new or nostalgic device before its update. Samsung Galaxy 7 FE is coming back and coming better. Although it’s been reported that the refurbished Note 7 is being sold in only a few markets (and not the US), the reports and rumors suggest that it’ll come with the Bixby assistant. Bixby Voice, which is like Apple’s Siri assistant, but it has only launched in Korea so far. If it is true that Bixby comes to the Note 7 FE that would make it the second phone to feature the AI, after the Galaxy S8. Bixby is a huge part of Samsung’s strategy going forward, but if it wants to compete against Amazon’s Alexa, Google’s Assistant and Apple’s Siri, it’ll need to find its ground on more phones and get voice features into more markets internationally. The refurbished Galaxy Note 7 is expected to come with 6GB Ram and 128 GB storage but exclusively in Korea. It expected to come with AI feature, Bixby assistant. Edged display that could be bigger than previous. Will have new Infinity Display having a QHD resolution. It also has a cavity in the base holding the S-Pen stylus, which Samsung says is even more precise than before with a “ballpoint-like” experience, as well as offering a bunch of new software features and capabilities. Galaxy Note 7 FE is also IP68 water and dust resistant, the first Galaxy Note series device to be given this type of protection, better yet the stylus also functions underwater. The fingerprint scanner Home key has returned again, but as leaks showed we now have an iris scanner built into the phone’s frontage. This allows you to unlock the handset by lining your eye up inside some on-screen circles but otherwise works pretty much like existing biometric security. As with the fingerprint scanner, Samsung is opening this up to app developers. The handset features Type-C USB with quick-charge support. The processor, keeping with Samsung’s usual MO, is region-dependent, with Qualcomm’s Snapdragon 820 processor. 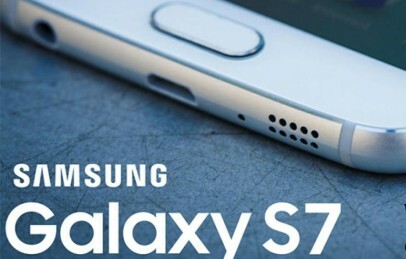 The phone follows the Galaxy S7’s lead in sticking with current trends for down-rated megapixel ratings, a more conservative 12MP primary and 5MP secondary affair, but with other aspects of the sensors improved; larger sensor size, larger pixel size, wider apertures, better focus modules, and so on. It has the Galaxy S7’s f/1.7 aperture size and an optical stabilization (OIS) module. The Galaxy Note 7 has the same dual-pixel phase detection autofocus as the Galaxy S7, which is insanely fast improving both the utility of the Samsung imaging experience, but also the image quality as less detail is lost in the process. The refurbished version of Galaxy Note 7 would be priced around $620 (roughly Rs. 39,900), the latest information indicates that Samsung might be selling the units for as low as KRW 500,000 or about $440 (roughly Rs. 28,300), as per a report by South Korea. Samsung Galaxy Note 7R reportedly selling in China ahead of launch, a Chinese e-commerce website has reportedly listed the Galaxy Note 7R on sale at a price range of CNY 3,599-3,999 (roughly Rs. 33,540 – Rs. 37,300).Talking about the company’s official statements, those are limited to just a time frame, which could be some time before the Galaxy Note 8 launch later this year. All other specifications are rest as the original Galaxy Note 7. Will the refurbished Samsung Galaxy Note 7 be coming to India?well, you wonder! A report in February stated that Samsung India had denied plans to bring any such unit in India. As Samsung has since then changed its mind about the entire refurbishment strategy, it may very well bring the smartphone to India – we’ll have to wait and see. See: Is there any Galaxy Note 8 for 2017 as well? Well, this all for today friends! We have tried to give all the latest news reports and facts about the Galaxy Note 7 FE. We are eagerly waiting for the launch on 7th July. For more updates, stay tuned with us.